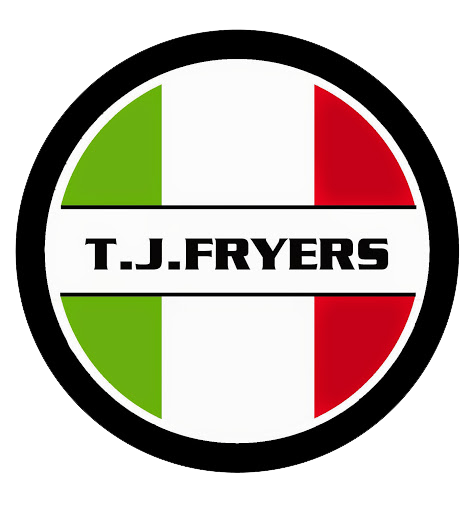 TJ Fryers chip shop was founded in 1995 by the Loia family consisting of Carmela, Joe and Telia, and are celebrating their 20 year anniversary this year. The shop’s name originated from combining the initials of Telia and Joe. Previously to this, the Loia family had its roots in the famous “Gnarra’s” chip shop in Harthill which was ran by the family for three generations before treading on new territory in Airdrie and haven’t looked back. TJ Fryer’s focus is to serve the best quality fresh produce sourced locally as possible using hand filleted, angel cut Haddock as its star attraction, and to provide customer satisfaction and a friendly warm welcome. It also has a dedicated Italian pizza chef known as “Ches” making restaurant quality fresh authentic Italian pizzas and calzones daily. Try them – you won’t be disappointed!! Chocolate Nutella and marshmallow pizza is also one to try! Let’s not also forget the amazing quarter pound flame grilled burgers on offer and homemade in house pastas by Angelo, who is a qualified Chef and also fryer within the shop along with Joe. Firmly set and well known in the community, TJ Fryers likes to have community links and sponsors and supports Gartcairn Football Association Juniors, along with the fantastic Saint Andrew’s hospice. Open 7 days a week, delivering to all of Airdrie, why not call in, or call for a collection or delivery, Joe and the team will be happy to see and hear from you!